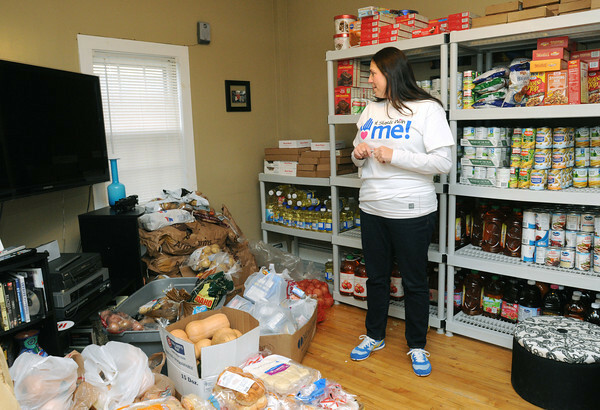 Melanie McKinnon looks over the large quantity of food covering her livingroom. Melanie runs a charity called "It Starts With Me!". Tuesday they distributed turkey and all the supplies to 117 families in Salem and neighboring towns. Photo by Ken Yuszkus / The Salem News, Tuesday, November 26, 2013.